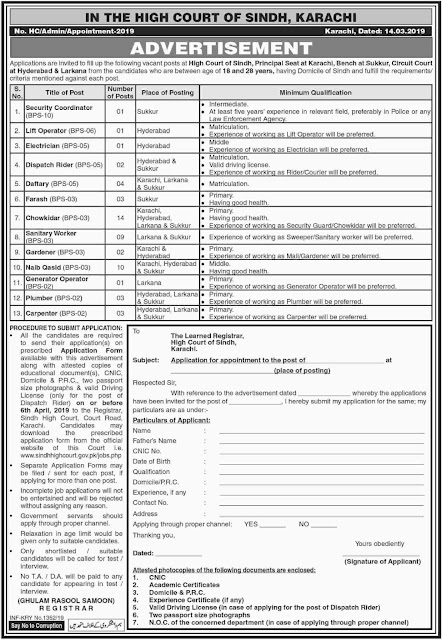 Applications are invited to fill up the following vacant posts at the high court of Sindh, Principal seat at Karachi, bench at Sukkur, Circuit court at Hyderabad & Larkana from the candidates who are between the age of 18 and 28 years, having domicile of Sindh fulfill the required criteria mentioned against each post. Latest New job 2019 in Karachi. Jobs in Karachi. Today Jobs in Karachi. 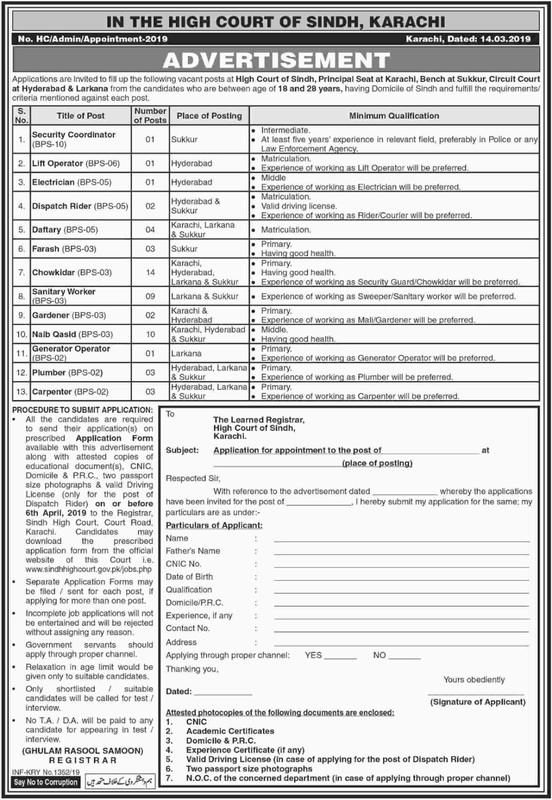 How to Apply Sindh High Court Karachi Jobs 2019? All the candidates are required to send their application on the prescribed application available with this advertisement along with attested copies of all education documents to the Registrar Sindh high court Road Karachi.